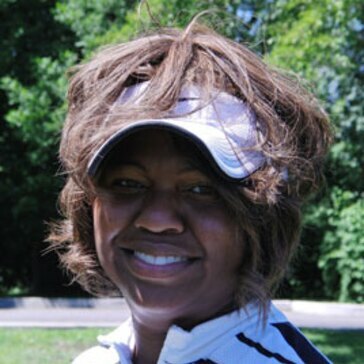 Robin Aikens is one of 6 African American women on the planet that hold membership in the LPGA. She has won two awards for her teaching ability: 2001 Hook a Kid on Golf "New Program of the Year Award" for teaching inner city youth through her non-profit, Inner City Youth Development, Inc.; and 2009 Outstanding Leader of Golf Award given at the 2009 PGA Show in Orlando, Florida by the African American Golfers Digest. Robin Aikens is a former Division I Head Women's Golf Coach at Chicago State University. Robin's Teaching Philosophy is rooted in her students embracing strong fundamentals. She believes that when this is done, her students will be able to "Self-Correct", which leads to better scores on the golf course.